Belize City, Friday, 20 October 2017 (CRFM)—Several Caribbean countries have been recently devastated by two catastrophic hurricanes, Irma and Maria, underscoring the need for Member States of the Caribbean Regional Fisheries Mechanism (CRFM) to press forward with risk insurance for the fisheries sector—being developed by the Caribbean Catastrophe Risk Insurance Facility Segregated Portfolio Company (CCRIF SPC, formerly known as the CCRIF) in collaboration with the World Bank. This initiative to develop risk insurance for the fisheries sector in CARICOM States is supported by the United States government under the Caribbean Ocean and Aquaculture Sustainability Facility (COAST). At the 7th Meeting of the CRFM Ministerial Council, hosted in Georgetown, Guyana, on 5th October 2017, policy-makers underscored the need for CARICOM Member States to move ahead with adopting risk insurance that would enable the fisheries sector and fishers to bounce back more quickly after a hurricane strikes. So far, there has been no payout provided specifically for the rehabilitation and recovery of the fisheries sector, although there have been other payouts under the broader umbrella of the CCRIF scheme. Since its establishment in 2007, the CCRIF SPC has made payouts of a little more than US$100 million to 12 of its 17 member countries – all within 14 days of the disaster event. “Having such an insurance scheme is one of the good things we can do to help fishers get back on their feet as soon as possible after a disaster,” said CRFM Executive Director, Milton Haughton. The development and implementation of the livelihood protection policy for individual small-scale operators and the sovereign parametric policy for States that the CCRIF SPC is working on, now assumes greater urgency for the sector, the CRFM Executive Director underscored. Haughton expresses the hope that in light of the destruction and devastation which the recent hurricanes have caused in CRFM Member States such as Antigua and Barbuda, Dominica, Haiti, Montserrat, St. Kitts and Nevis, and Turks and Caicos, that all parties will redouble their efforts to get the risk insurance facilities for the sector established as soon as possible and certainly before the next hurricane season. 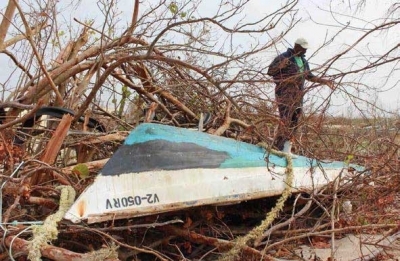 He said that the insurance policies are being designed to provide quick relief to those fishers who experience distress as a result of disasters such as hurricanes. The report notes that there were 37 boats, over 2,000 fish traps, and 17 gill nets destroyed. An aquaponics facility at which fish and vegetables are farmed together suffered minor damage and damages were also reported to some fisheries facilities, such as wharves and public buildings. The CRFM Secretariat is currently developing a model Disaster Management Plan for the Fisheries Sector of the region to facilitate adequate preparation by stakeholders before disaster events and to ensure speedy, coordinated assessment and recovery efforts after such events. BRIDGETOWN, Barbados, 13 December 2016 (CRFM)—The fisheries industry on Wednesday moves one step closer to making the Caribbean fish and seafood trade safer and more profitable when experts meet in Barbados to finalise a raft of model regional laws, policies and procedures. The Caribbean region’s ability to cash in on a potentially lucrative, international export trade in fish and seafood – already worth 315 million US dollars a year – is being held back by gaps in sanitary and phytosanitary (SPS) standards, the Caribbean Regional Fisheries Mechanism (CRFM) said. But the experts, who are wrapping up an 18-month-long project to investigate fish handling policies and design a new seafood safety regime for the region’s fish and fishery products, are set to introduce a new regime for SPS measures in CARIFORUM states. 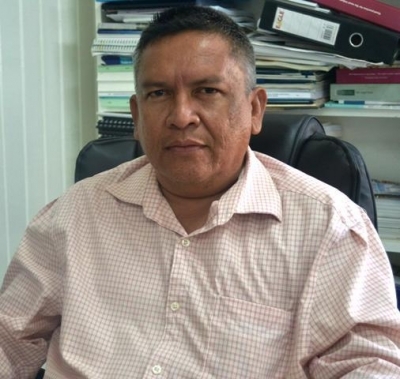 “The continued viability and further development of the fishing industry of the CRFM region face several challenges, some of which are related to inadequate development of SPS systems to suit the specific needs of fisheries and aquaculture operations,” said CRFM Executive Director Milton Haughton ahead of the two-day meeting. Haughton said the experts are meeting to bring forward work begun a year ago on preparing model legislation. The meeting will unveil model fisheries and aquaculture SPS legislation that is to be presented to CARICOM with the intention of being enacted in each exporting nation. The model legislation has been developed in consultation and communication with policymakers, fisherfolk, processors and other industry players. Compliance with globally established SPS standards is voluntary – a worrisome development that experts say is stopping member states from tapping into niche markets overseas and boosting foreign exchange earnings. Investigations by international consultants on the project exposed large gaps in legally binding protocols managing food safety throughout the region. The experts found barriers to trade of fish and fisheries products due to inadequate SPS standards; minimal legislative standards for aquaculture; concern about food security and decreasing use of local, fresh seafood – the solution for which improved SPS support is an essential component, the CRFM said. With the impact of global environmental changes including climate change on the Caribbean, the regional fisheries agency said there is need for improved management and monitoring of the natural environment that sustains fisheries and aquaculture production. 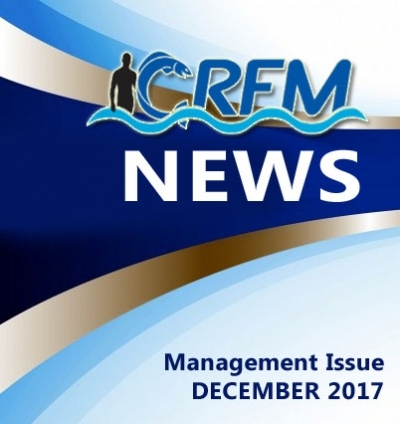 The meeting is to be streamed live daily for regional media, industry figures, officials and anyone interested in fisheries and the safety and health of fish and seafood in the region, the CRFM said. The proceedings may be followed on the CRFM’s YouTube channel, youtube.com/TheCRFM. Government officials from each CRFM member state are to review and endorse the final documents to allow final approval. These will then be recommended to CARICOM’s Council for Trade Economic Development (COTED), the regional bloc’s forum of trade ministers, as well as other CARICOM bodies. The two-day meeting is the high point of a European Union-funded project to help CARIFORUM countries introduce laws, regulations and a governance system to guarantee safe seafood for export to EU markets and beyond. 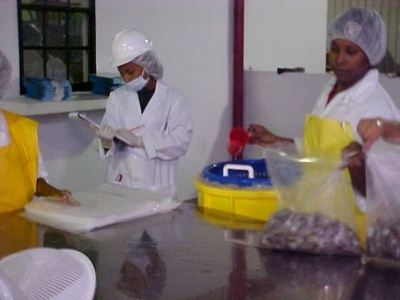 The project, which is being carried out by the Belize-based CRFM and supported by the Inter-American Institute for Cooperation in Agriculture (IICA), aims to ramp up food safety standards to enable CARIFORUM fish exporters to take up trading opportunities under the EU Economic Partnership Agreement (EPA). The project is financed under the EU’s 10th European Development Fund (EDF) Sanitary and Phytosanitary Measures Project. 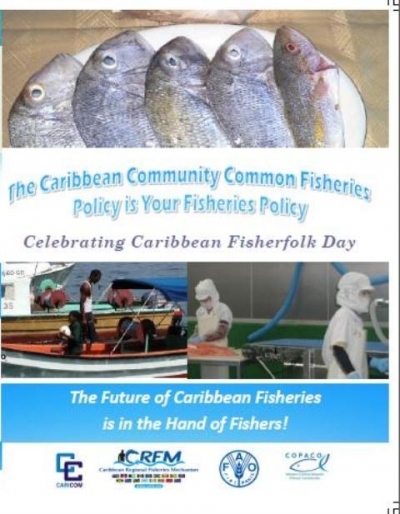 Belize City, Wednesday, 6 April 2016 (CRFM)--Fisheries experts from across the Caribbean region are traveling to Guyana this week for the 14th Meeting of the Caribbean Fisheries Forum -- the primary technical deliberative body of the Caribbean Regional Fisheries Mechanism (CRFM). The Forum will be meeting in Georgetown on Thursday, 7 April and Friday, 8 April to undertake its annual stocktaking and planning for the fisheries and aquaculture sector. The event will bring together more than 50 participants, including directors of fisheries, chief fisheries officers, and other development partners, such as NGOs and international organizations like the UN Food and Agriculture Organization, which work with the CRFM in promoting the development, management and conservation of the Caribbean’s fisheries resources. 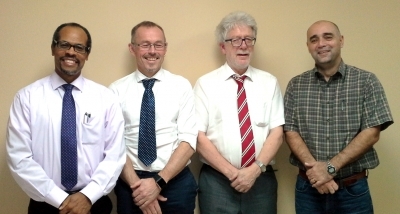 Justin Rennie, Chief Fisheries Officer of Grenada, will demit chairmanship of the Forum to Denzil Roberts, Chief Fisheries Officer of Guyana, for the 12-month period spanning the new program year which commenced on 1 April. A new vice chairman will also be selected. The Forum will also review the region’s progress in implementing the Caribbean Community Common Fisheries Policy (CCCFP), as well as initiatives to strengthen research, and institutional and human capacity through the CRFM’s collaboration with a number of development partners such as the University of the West Indies (UWI), the University of Florida in the USA, the International Ocean Institute, Dalhousie University, Canada; the University of Wollongong in Australia, and the United Nations University in Iceland. This collaboration is vital in ensuring that CRFM Member States are equipped with the human and institutional capacity needed to tackle the increasing challenges of sustainable development that confront them—challenges which are being exacerbated by climate change. 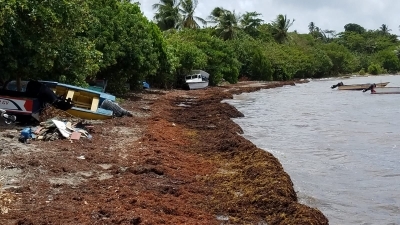 One such challenge is the emergence of the Sargassum seaweed on the region’s beaches and in the coastal waters. “Last year and 2011 we had massive influx of Sargassum seaweed on our beaches that affected our fisheries. 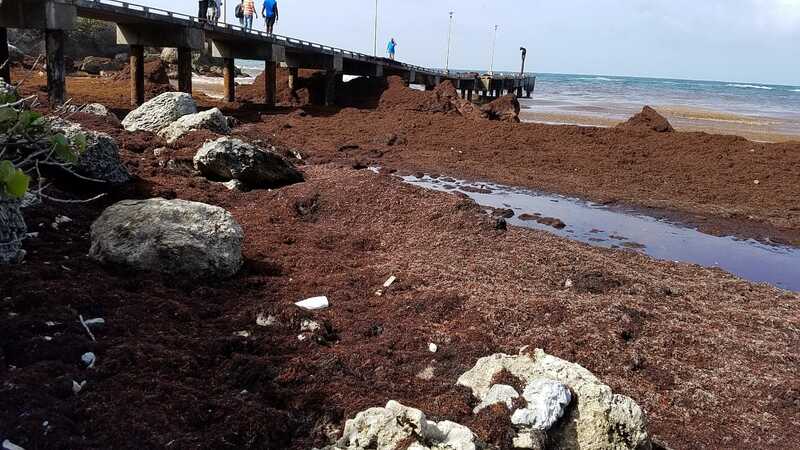 So we are putting in place measures to deal with the Sargassum seaweed should it return in the future—we hope it won’t, but just in case it does—and from all indications, we are expecting to have more of this seaweed coming on our shores and in our coastal waters,” Haughton said. Haughton said that associated with the Sargassum seaweed are large numbers of juvenile dolphinfish (locally known as mahimahi)—which is a very important target species in the Eastern Caribbean. “Our fishermen, of course, once they see these in large quantities, even though they are juveniles, they will catch them. So we are promoting the implementation of emergency, precautionary management measures; that is, minimum size limits for the dolphinfish fishery,” Haughton said. Aquaculture is also big on the agenda, and the Forum will discuss a new 5-year aquaculture action plan, which they will be asked to endorse. Since land mass is limited in our region, non-conventional aquaculture schemes are being promoted and explored. “Aquaponics is something that has been growing in the region—this is growing fish and vegetables together in a limited area using re-circulating water systems. This is more suitable for the smaller islands, like Antigua and Barbuda, and Barbados,” Haughton explained. On the second day of the meeting, the Forum members will discuss a proposal from the United States to support fishers through a risk insurance facility, Caribbean Catastrophic Risk Insurance Facility (CCRIF), which will be handling the technical details for the development of the policy. Under this regime, CRFM Member States will make contributions to the scheme in addition to the initial contribution of the USA. The Caribbean Fisheries Forum will conclude its meeting with recommendations to be submitted at the next meeting of the CRFM’s Ministerial Council—the chief policy making body on fisheries in the Caribbean Region.